Calling all crab lovers! 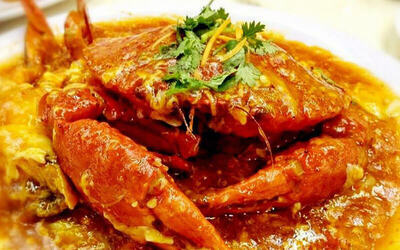 With this deal by Hong Kong Kitchen, indulge in four (4) fresh 900g crabs, cooked in your favourite styles. Choose from cooking styles like chilli, black pepper, salted egg, and steamed, and get to cracking those shells open for the bouncy, juicy flesh inside. Valid Mon – Sun: 11am –11pm. Valid on public holidays.